A double flexible bed base-sofa. 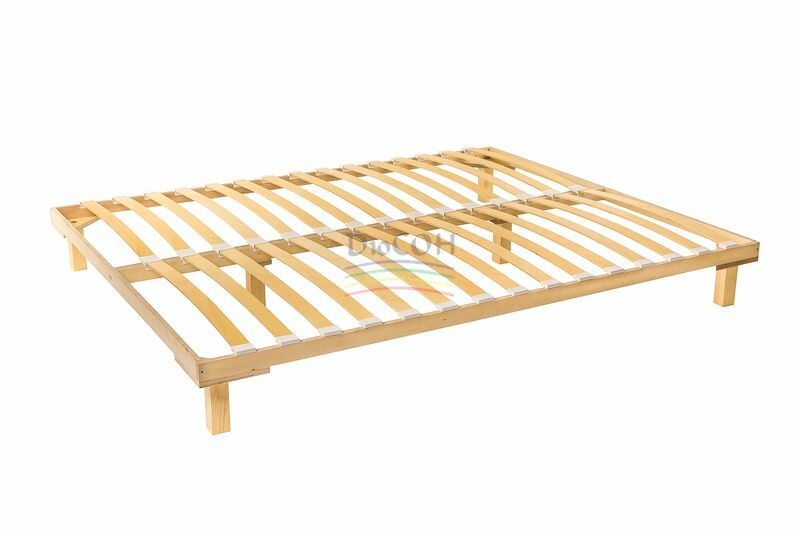 Can be installed into a bed including beds with linen frames or used as an independent construction for sleeping. A base frame is made of flat laminated birch beams connected with 18mm veneer haunches. Latoflexes used: width 50 mm, set into slat holders LDP 54-05 or their analogs. The material of the leg is pine.